The Wavelux 24V 5630 High Output High CRI (>95) LED Strip is an amazingly powerful LED strip light. This high output strip is made of high quality LED's and is exactly what you want when you need a lot of light. 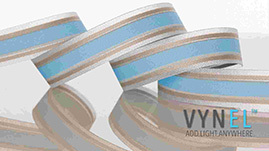 The HUGE light output of this strip makes it one of the brightest strips on the market today, putting out approximately 2200 lumens per meter. That's about the equivalent of 4 standard lightbulbs per meter! 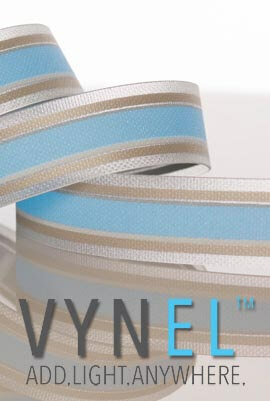 This strip can be used in a variety of applications, and provides quality and consistent output. The CRI (Color Rendering Index) on these specific lights is unmatched, at equal to or more than a CRI95. This means that the light output from this strip will provide a true light quality and reduce the amount of color distortion. This product is great for use in food and restaurant applications. Other practical and effective uses for this strip would be retail and tradeshow lighting where the goal is to highlight natural and true color. We've even used these strips in our office, to add light above beams or rafters to provide an ambient glow around the room. Since it puts out so much light, you may not even need overhead lights shining down to harm your eyes. In short, when you want a high quality, beautiful light output, LED Strip light, look no further. This is the strip for you.